Recalling the New York struts of The Strokes, The Rapture and Hot Hot Heat, NYC’s latest post-punk product is Public Access TV, giving a more-than-adequate warm-up to tonight’s main act. The up-tempo, zippy riffs of On Location and its stop/start pre-chorus get the already-bulging crowd bounding along, and although their whip-smart, breakneck rock gets a bit samey by song six, the shouty stomp of In Love And Alone more than makes up for the lack of variety. 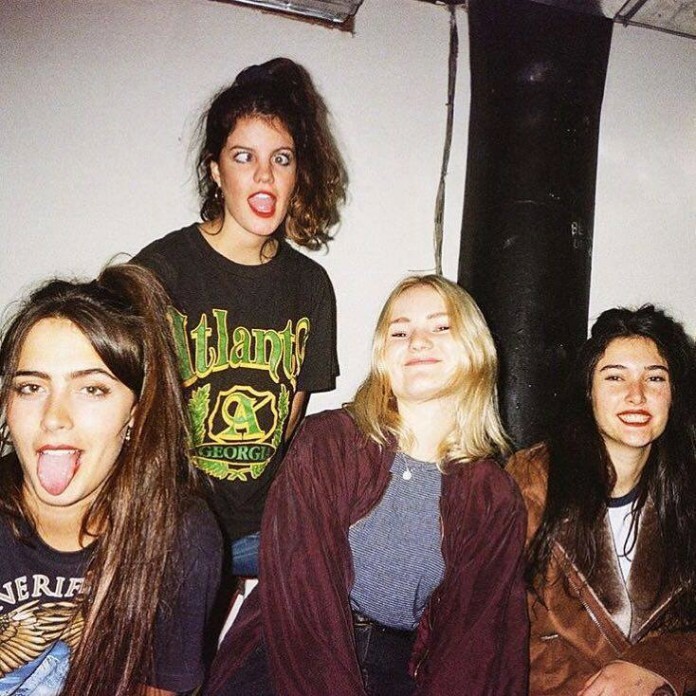 When it comes to sticking to one pace, Hinds laugh at such a premise, most of their songs change time signatures so many times they make Biffy Clyro look like Keane. The Spanish garage rockers’ debut album Leave Me Alone is already being touted as one of the best of 2016 and as a live act, the band are polished and assured, sailing through the laconic, lo-fi riff of Warts, the Galaxie 500-esque I Will Send Your Flowers Back and the summery strum of Easy. 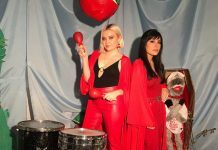 Throughout their setlist, Hinds are affable hosts, peppering each song with ebullient Espanyol, whether it be expressing their delight at such a packed-out crowd or politely pleading with the venue to retire the stifling smoke machine. They even remain stoic when a small section of the crowd jump onto the stage, although all the invaders really do is dance drunkenly and then politely walk back into the crowd. When the sold-out audience begs for an encore, the band oblige, tearing through Castigadas En El Granero with wild aplomb. On a dreary Tuesday night in Birmingham, Hinds showed you don’t need a tropical temperature to warm up a crowd.